Last week I worked on organizing my desks and workspace. This week I’ve been trying to clear ideas out of my thoughts by getting out the things I’ve been thinking about. Writing posts and making videos are like my pensieve in the Harry Potter movies. So today I did a video dump. Three videos on three different topics. Getting these out will let me move on in a more focused way. 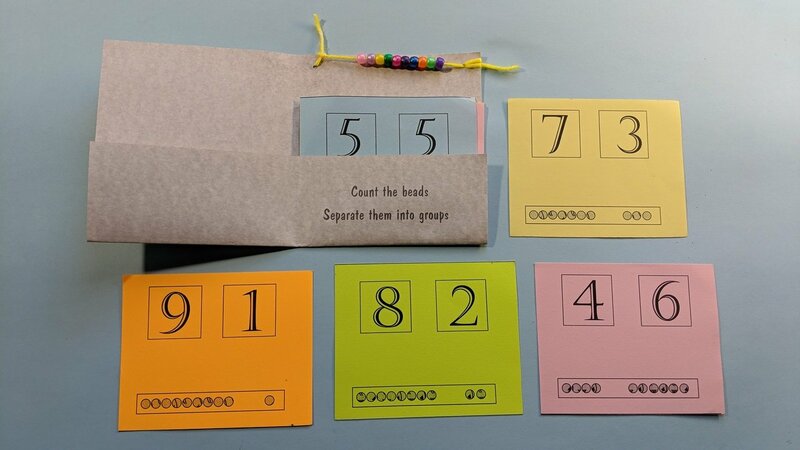 Next video is to accompany a post that I wrote a couple of weeks ago, about a project that I did with 5 year-olds about counting beads to create groups that add up to 10 beads. 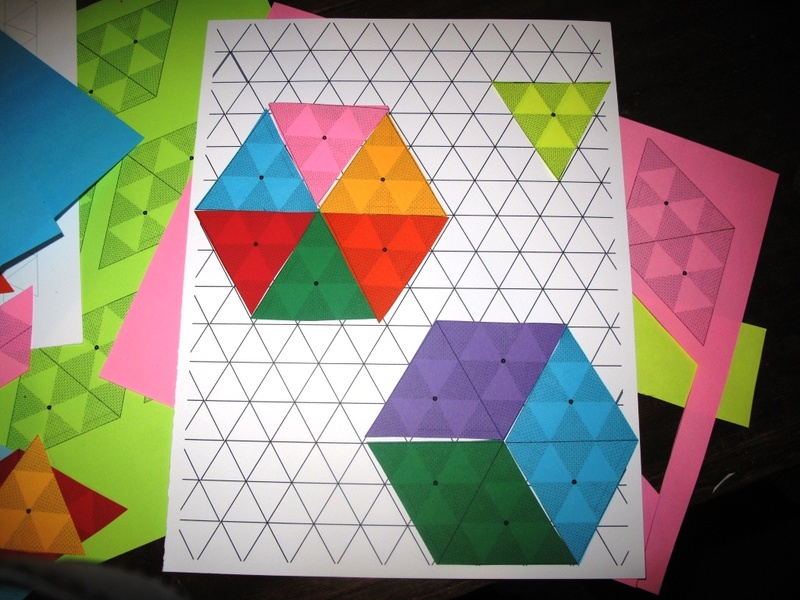 The kids enjoyed this project so much that I revisit the project with a video. Here’s the video that describes the project. The cover photo of this video makes it look like it might be upside down, but everything is there right as it should be. 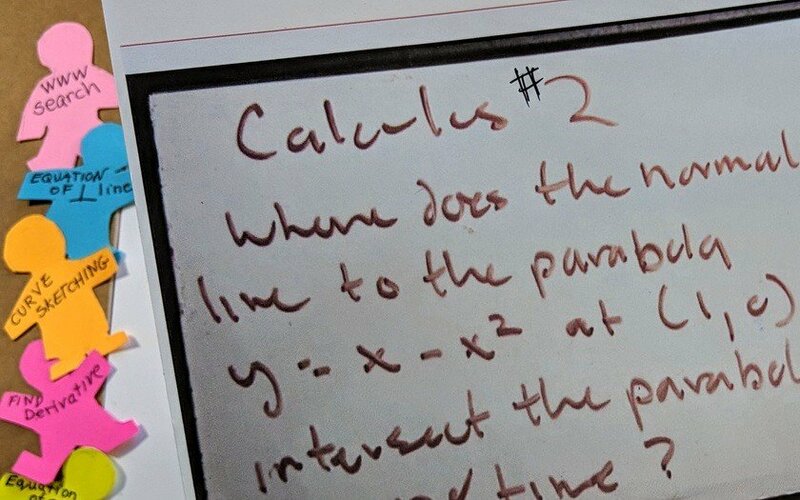 I was swept away by this problem because it illustrates how a problem with really easy calculus in it (really, I could teach the calculus part in like five minutes) is scaffolded on top of math from geometry, algebra, and pre-calc. I love how skills from many parts of math have to be used together here. In many ways this is like the bookmaking that I do, in which I use many different skills to create one thing. Thank you WordPress for giving me a place to clear my brain. 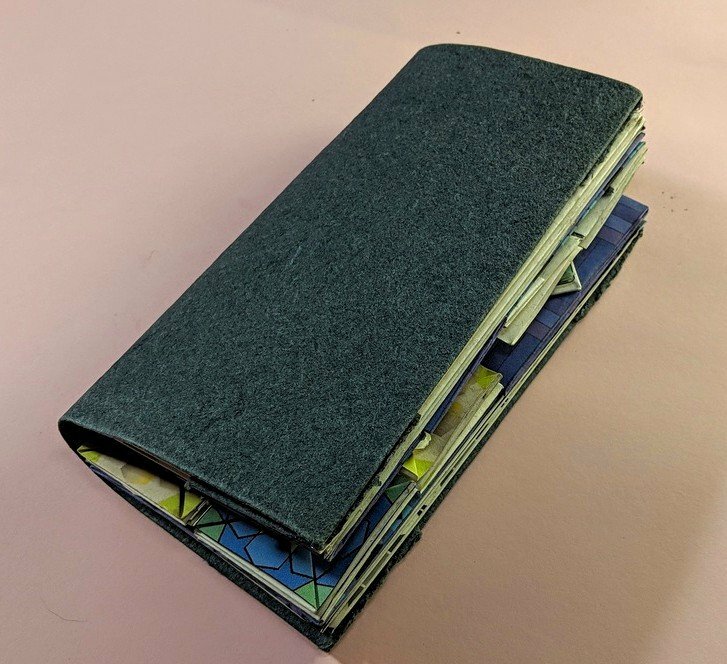 In about 10 days I will be teaching a two-day Chinese Thread Book workshop. Between now and the, it what I mostly hope to be thinking about. I will be seriously over preparing! Looking forward to it. I’ve been working with 9 different grade levels, nine different projects, this month, which is kind of wild, and even more wild because of all the snow days and other unexpected shifts in schedules. Most of the projects we’re doing are things I’ve written about enough on these pages, but I have managed to slide in a couple of new things with the fourth graders. I had some extra time with some of the students because they chose to stay after school for some extra time with me. Am still racing to finish prep for tomorrow, but want to quickly post about these two extra projects. I brought in circles and sheets of regular shapes. 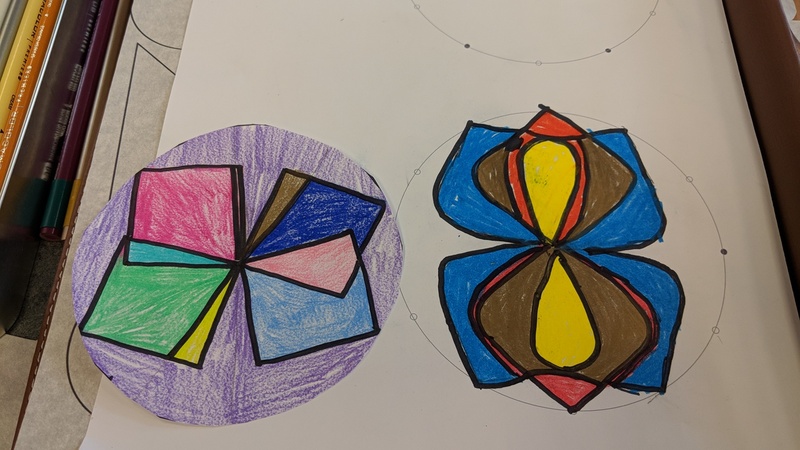 Student cut up the shapes, and rotated them around a center point. 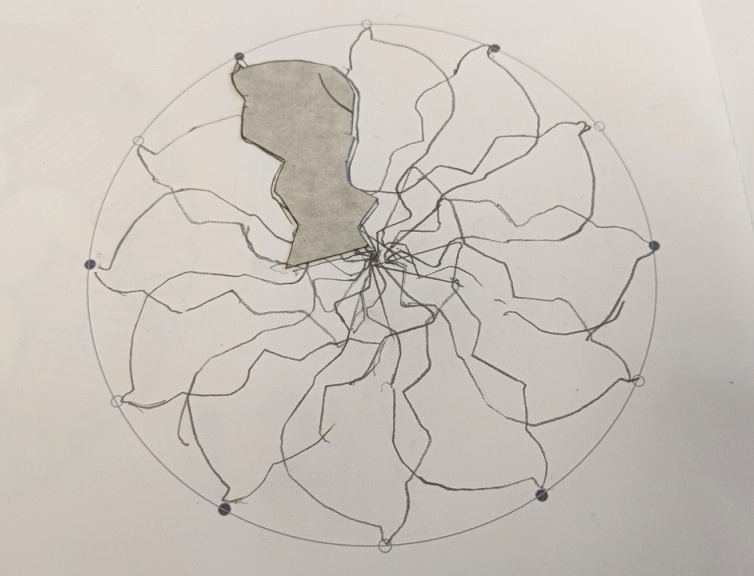 The circles were marked with 12 evenly spaces dots around the circumference. 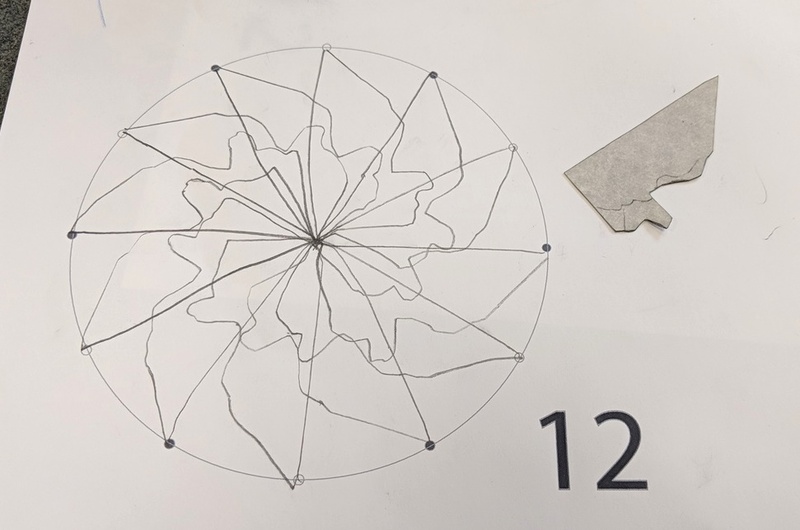 We talked about other cyclic things that are divided up into 12 parts (clock, months) and talked about how 12 has so many divisors. 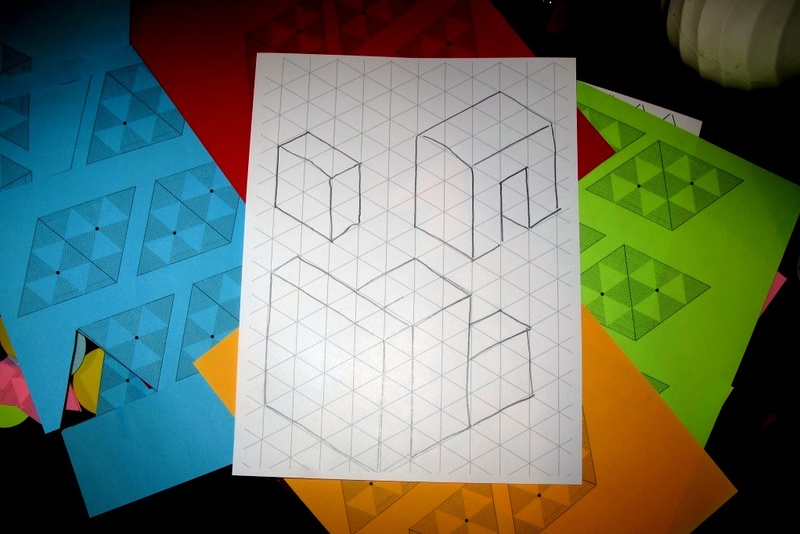 I printed the shapes on heavy paper. I hadn’t done this with kids before so I didn’t know if they’d have trouble with this. It was no problem for them at all. They were excited, worked creatively, asked questions and were totally engaged. Here’s the PDFs that I created for this project. I casually mentioned that ANY shape can be rotated. Well, they didn’t have to hear me say that twice before they were making new shapes. 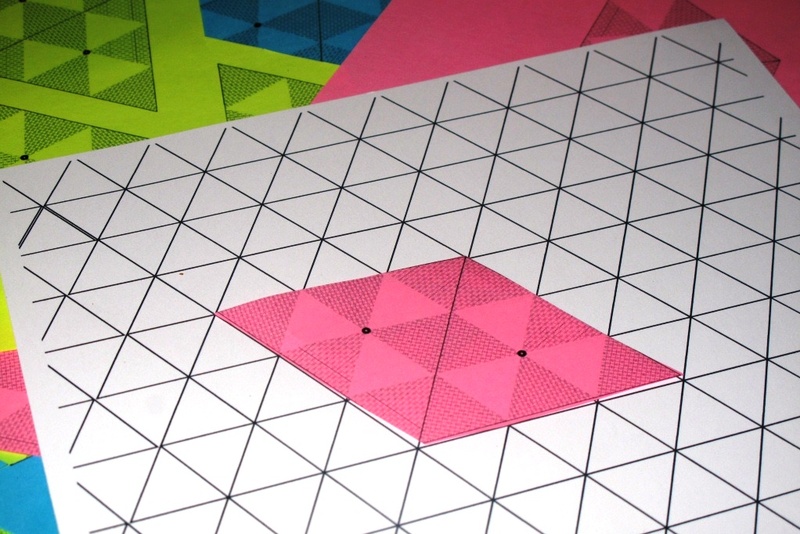 The trick is to retain points that can still line up with the center and with a point on the edge of the circle. 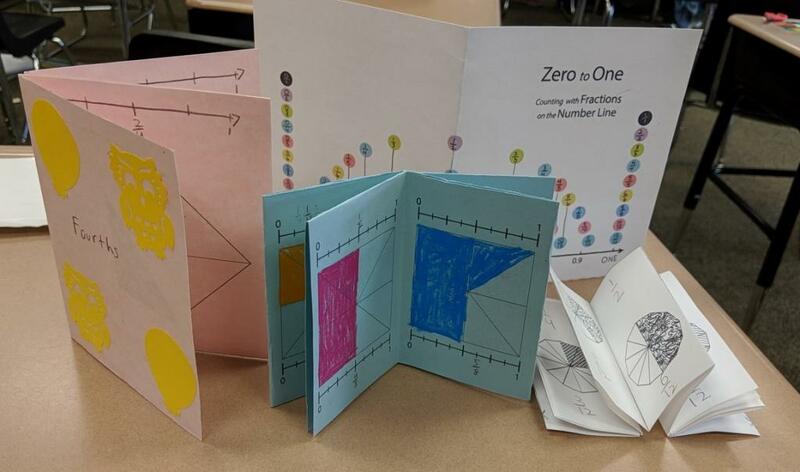 During class time, I worked with students on a fractions/ bookmaking project that I’ve written about previously on my Books Are Fractions post. The kids were enthusiastic about creating fraction museum pieces, which I then photographed. The idea is to collect items, see them as part of a whole, then write fractions that describe the collection. There was some deeper thinking going on than I expected. 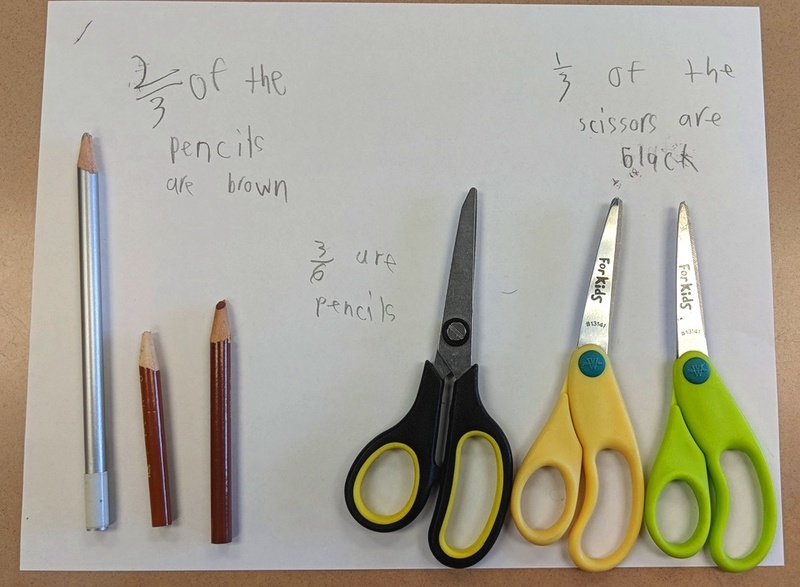 During my fractions conversations with these kids (who, by the way, had a good grasp of fractions before I ever showed up) I talked about the confusion that can happen when trying to understand why, when the denominator is a bigger number, the unit fraction is smaller. 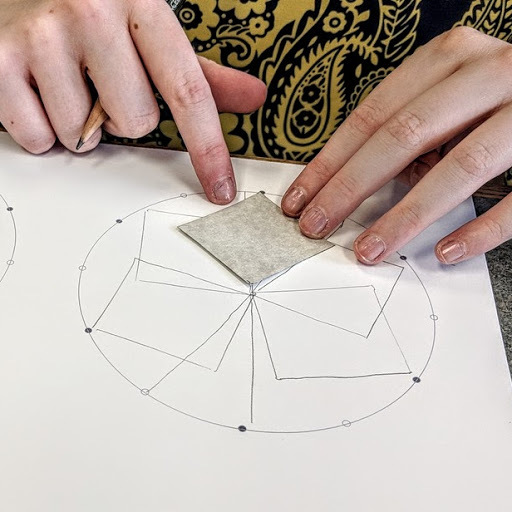 I showed them a piece of paper folded into four sections, then said if I had to fold the same paper into eight sections (which we did) that the number of units had to be smaller to accommodate the larger number of sections. 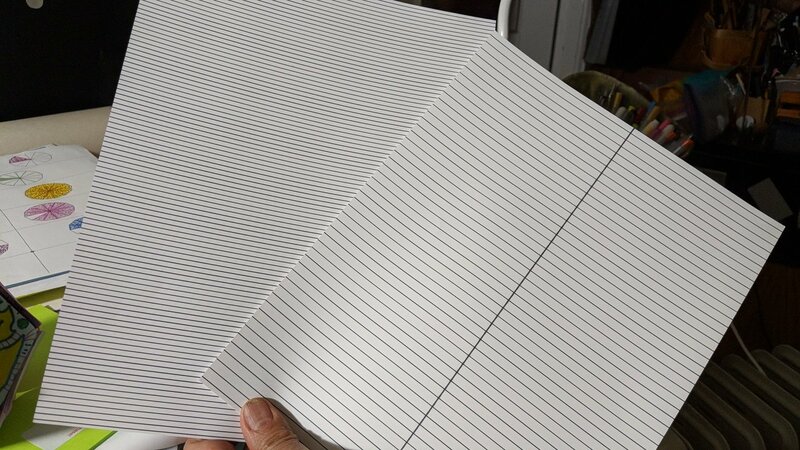 Then I asked “Imagine if we had to divide this paper into 100 sections, how small would those sections have to be? This story begins in a teachers’ lunchroom, a couple of years ago, in Upstate NY. I was sitting with some teachers when another member of the staff started talking to a first grade teacher, Mrs. K, about a new math mandate. It was something about using manipulatives to create a variety of shapes. I’m a bit foggy on this part but it seems to me that they were required to use rhombuses (or rhombi, both are correct) for their shape building. Upon being told that she would have to incorporate these manipulatives into her math unit Mrs. K asked if there was any money in the budget for manipulatives. The answer was no. 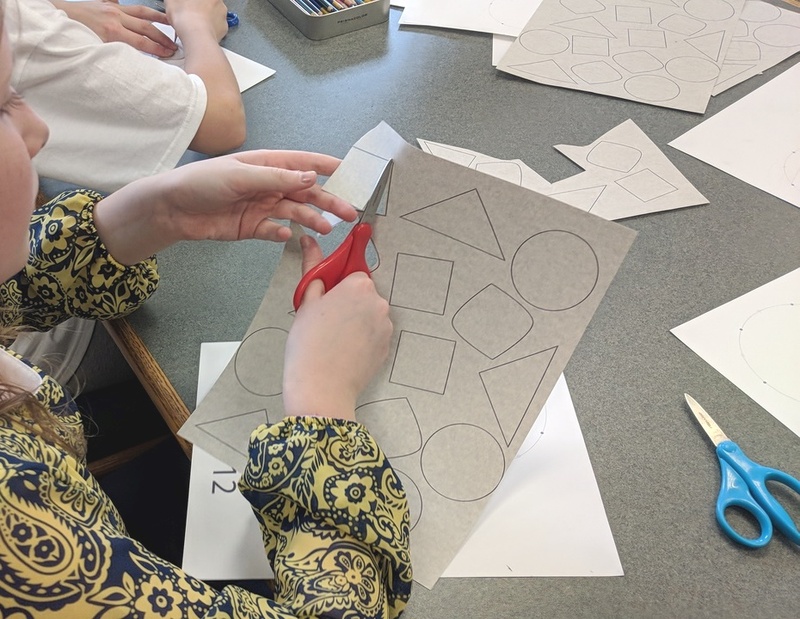 After school I sought out Mrs. K and showed her some paper-folding and shape transformations that referenced rhombuses. This teacher seemed delighted with what I was showing her. 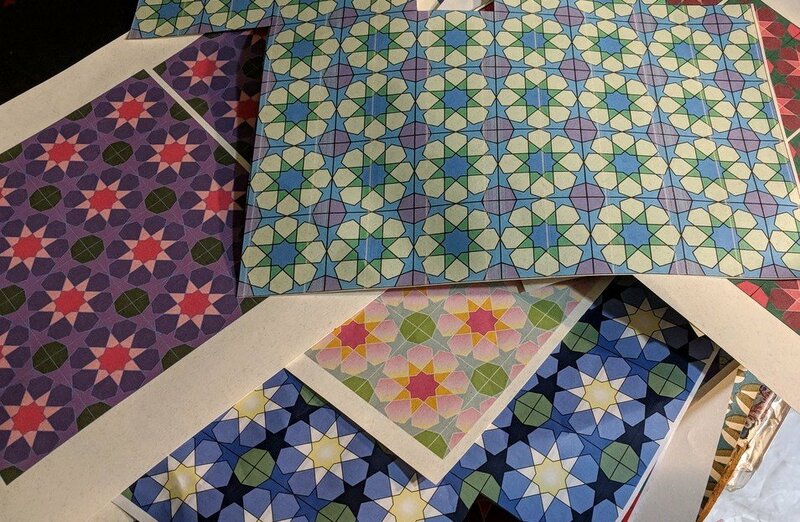 I volunteered to send her something that I thought she might find useful, then went home and created these images for her, which are equilateral triangles that become a rhombus. I never asked Mrs.K if she used what I sent her. I recognize that what I sent was, unfortunately, not a project. Instead, it was just the bones, the beginning of a project that needed to be developed. Every so often I’ve revisited these images, wondering what I could do with them. Then a few nights ago Malke, from Indiana, asked me about projects for a family night. 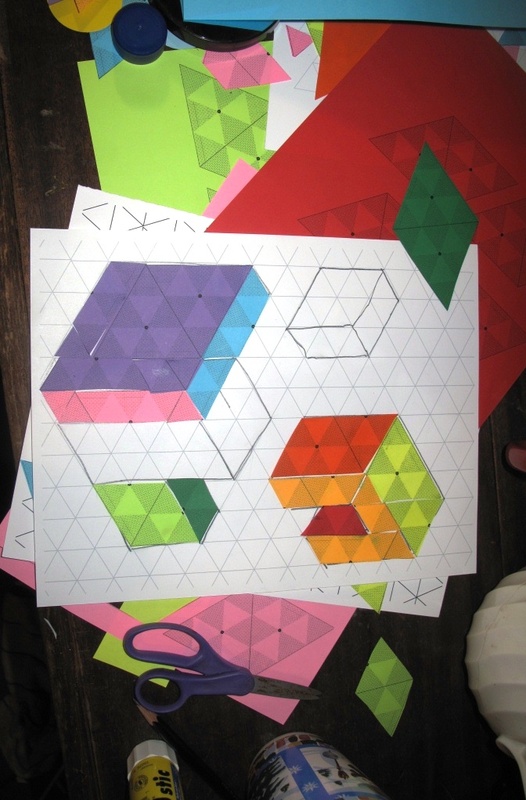 @mathinyourfeet there's a project I've only envisioned, with rhombuses or equila triangles cut from colored papers and arranged in patterns. 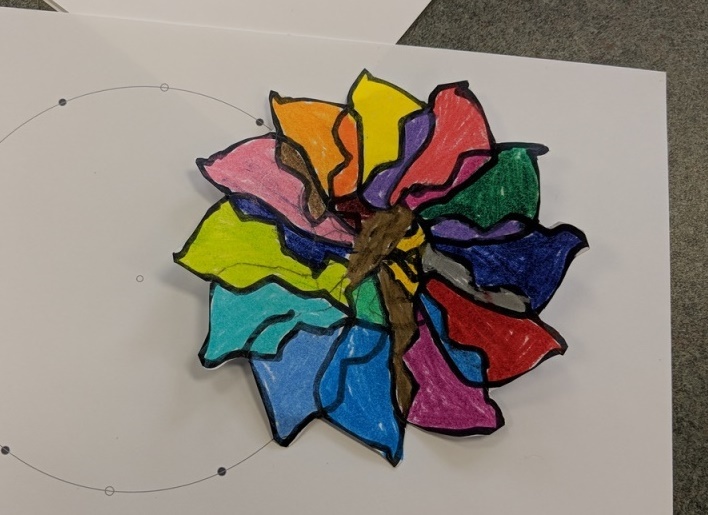 Malke, who I included in the conversation, responded with a reference to a beautiful manipulative that I wasn’t familiar with, but which also showed that she immediately recognized what I was getting at with my DIY paper version of manipulatives. @PaulaKrieg @Simon_Gregg When you told me your idea last night I immediately thought of: http://t.co/k038IDoyy7 Your idea is really similar! …and filled in, while trying to make as few cuts as possible and being mindful about cutting along the lines defined by the triangles. 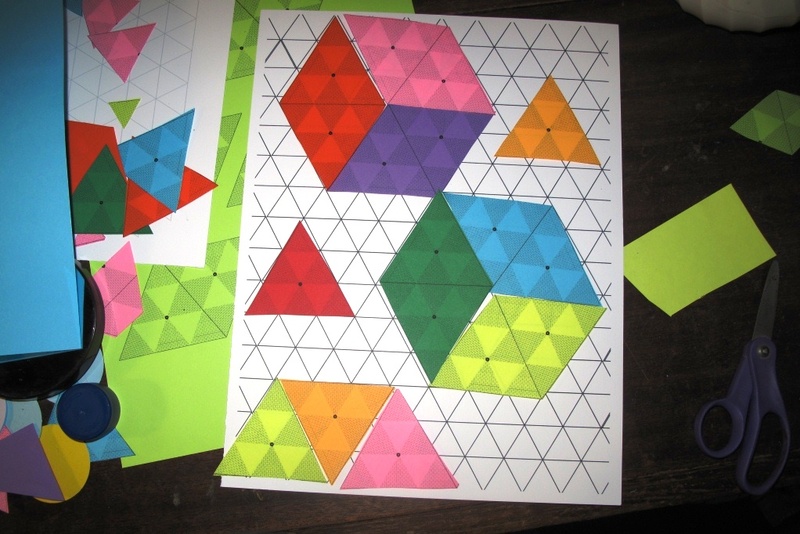 Make beautiful shapes. Send photos. Thank you. Flip Books and random pages. The Birthrite flip-book by Ruth Hayes, published by The Real Comet Press, 1988, was a gift from Lewanne Jones and Jim Fleming when my son was born. After all these years of teaching how to make books I have now become smitten with using books as a teaching tool. 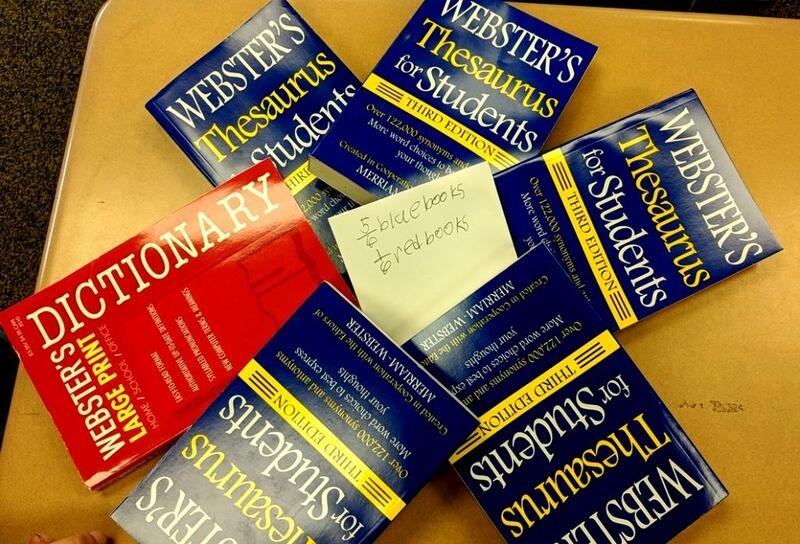 Yes, I know, using books for instruction is anything but a new idea. This said, flip books have captured my interest because they are fun and dynamic. 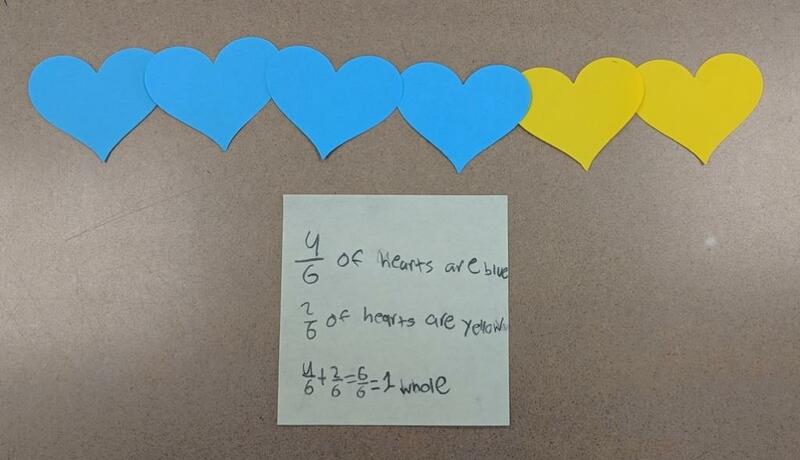 Among other things, I’m pairing them up with mathematical equations to illustrate how the picture of an equation changes when there are changes in a variable. 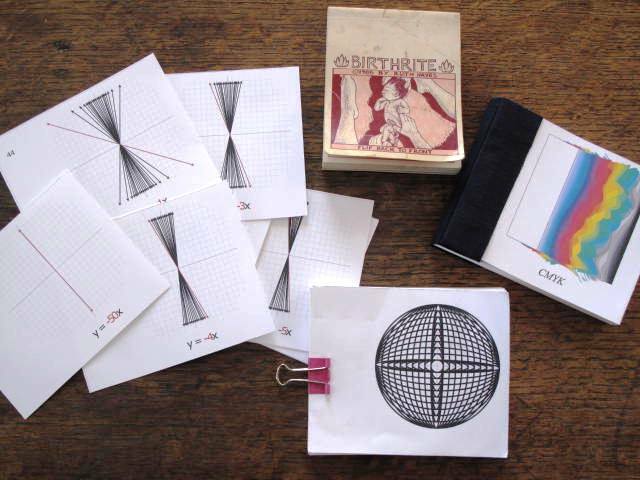 So far I’ve shown some of these flip books to a couple of my smart but not particularly mathy friends and what happened next is so worth writing about. The first thing that happens, of course, is that my friends flipped the pages. Everyone loves a show. The gif in the box above is a pretty good representation of what they saw in one of the books. A gif is fun, too, but it’s not as effective as a flip book in that it doesn’t allow the viewer to slow down and examine what’s going on. I saw this happening so clearly: my friends were drawn into the equation by the action of the flipping, then they slowed down, looked at the images more slowly and tried to understand what was going on. They had great questions. For instance, Sarah thought I had made a mistake in labeling these pages. She hadn’t sorted out how the graph of y=50x could be so similar to y= negative 50, after all 50 is arguably a large number while negative 50 is indisputably a very small number. It was easy enough to explain how this works, and she absolutely understood it. What I understood was that, without the flip book, she would have never been interested in having had this conversation. John also had some questions. He couldn’t fathom why I showed lines with slopes equaling 1 to 8 in sequence, then started skipping to 12, 20 and 50. When I pointed out how the lines were becoming increasingly indistinguishable from each other as the slope becomes larger, he better understood my choices of which slope values to use. It’s taken me quite a bit of time to get to the point where I’m ready to show this first equation-of-a-line book to anyone. 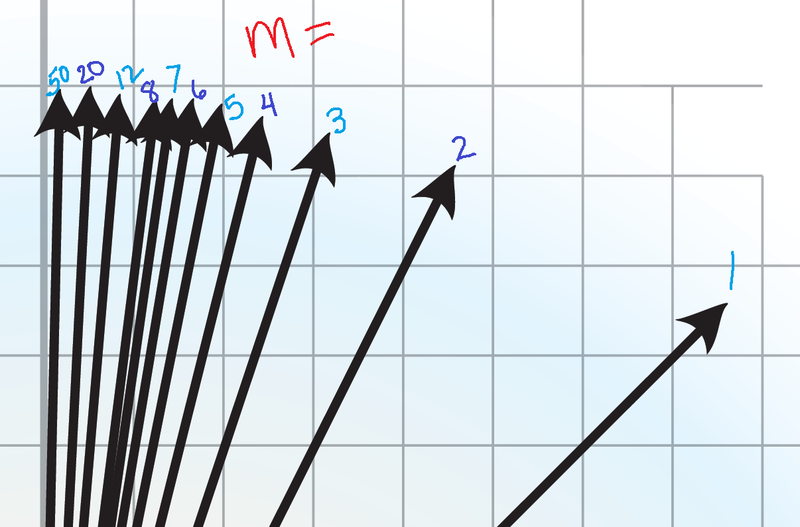 There will be two or three more books to go with this one: one that shows only “b” changing; one that shows the graph when the changes in “m” are between positive one and negative one; and a book that shows b and m changing at the same time.